“I think it’s a play that makes us in some ways ask ourselves what do we expect to learn about a woman’s life, personal life versus her professional life.” - Kerry Reid talking about the various lenses we see Dr. Rosalind Franklin through in PHOTOGRAPH 51. An overlooked piece of science history is put under the microscope in Court Theatre’s new production PHOTOGRAPH 51. Anna Ziegler’s play takes a closer look at the accomplishments of Dr. Rosalind Franklin, a British chemist who was instrumental to the double helix DNA discovery. Yet, it’s her male colleagues who share the 1962 Nobel Prize in Medicine. Both Kerry and Jonathan recommend PHOTOGRAPH 51. It continues at Court Theatre through February 23. PHOTOGRAPH 51 is one of over 100 productions participating in Chicago Theatre Week. Taking place through February 17, Chicago Theatre Week offers discounted tickets to more than 100 productions and invites people to sample the extraordinary range of theatrical offerings in Chicago. For details visit ChicagoTheatreWeek.com. This year’s Chicago Theatre Week also serves as a kick-off for the city’s Year of Chicago Theatre! “It became obvious to me the power of what you can do when you declare it a ‘year of’, so DCASE with modest financial resources, but tremendous assets of Millennium Park, the Cultural Center and maybe, the most important asset of all, we have a bully pulpit, we can galvanize, we can bring people together.” - DCASE Commissioner Mark Kelly, talking about the the city’s recent “year of” designations. This citywide, year-long focus on theatre is the first of its kind in the U.S. The initiative includes plans for performances and special events throughout the city, including theatre-themed events in all 77 community areas, as part of the Chicago Park District’s ‘Night Out in the Parks’ series. 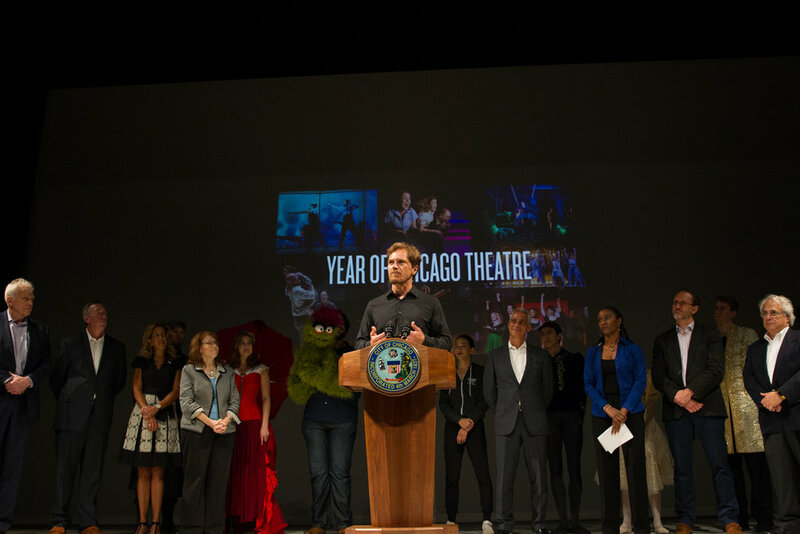 Chicagoans are invited to a special Year of Chicago Theatre kick-off event on Monday night. Chicago Mayor Rahm Emanuel, the Department of Cultural Affairs and Special Events (DCASE) and the League of Chicago Theatres are presenting “It’s Showtime, Chicago” on Monday, February 11, from 6–8 p.m. at the Chicago Cultural Center.